Stuart is a delightfully modest man of enormous talent ­– 3 Oscars and a shed load of other glittering prizes to his name. I spent the afternoon with him at Shepperton Studios back in 2011, where I recorded this interview for my RDInsights series. Forgive a little microphone interference at the start of the recording. You can hear the interview here. A little under two years ago I started, what I think, will turn into a ten year project. My aim is to interview as many Royal Designers as I can manage – there are over 100. So far I’ve clocked up fourteen. On average I record one a month, mostly at the designer’s home. I should explain the title, Royal Designer for Industry, is an honour. It was established in 1936 by the Royal Society of Arts to recognise designers who have created exceptional work, over a significant period of time. So don’t be put off by the ‘Royal’ bit, these are all really talented people. And the interesting thing is, they are from all design disaplines. 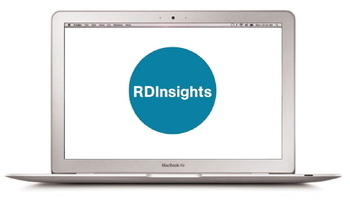 RDInsights gives a very personal take on these individuals; where they’ve come from, their influences, difficulties along the way. Plus many amusing and often touching anecdotes. But most of all it makes connections and gives meaning to the creative arena that we all work in. But if you just want to put a voice to the face of this blogger then that's okay too.